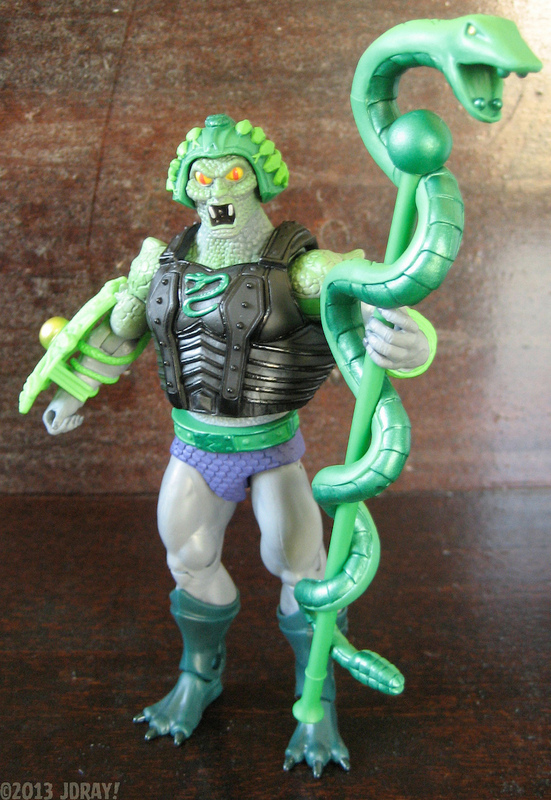 Originally a minor training officer in the Unnamed One’s Serpent Army, Cyltho Ssstavvve drew King Hsss’ attention after he was enchanted with the ability to turn his enemies into stone by the Great Black Wizard. 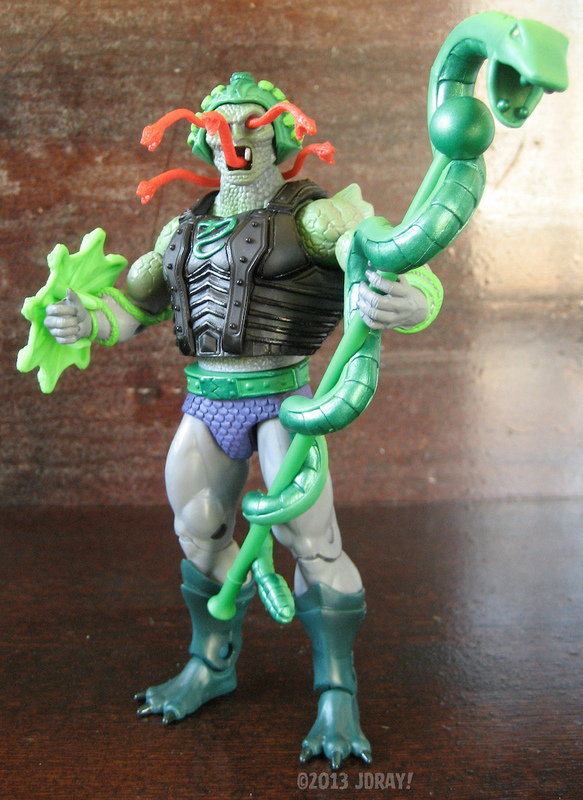 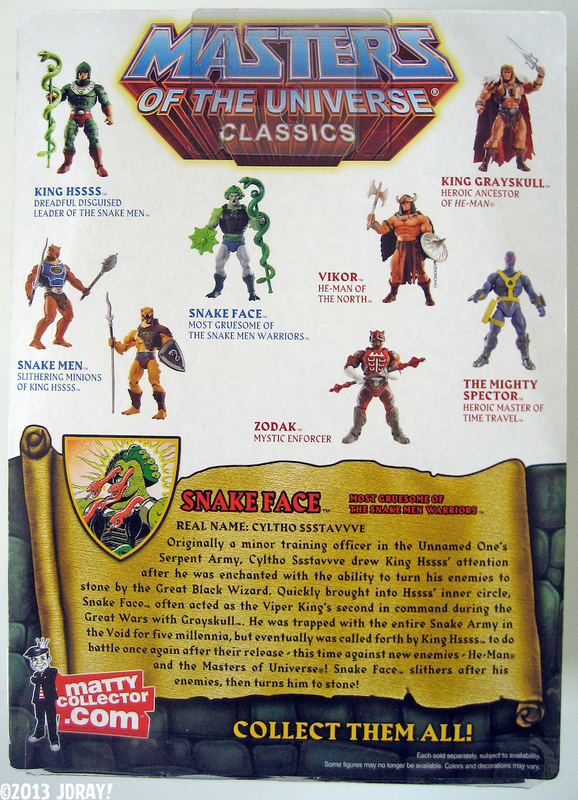 Quickly brought into Hssss’ inner circle, Snake Face often acted as the Viper King’s second in command during the Great Wars with Grayskull. 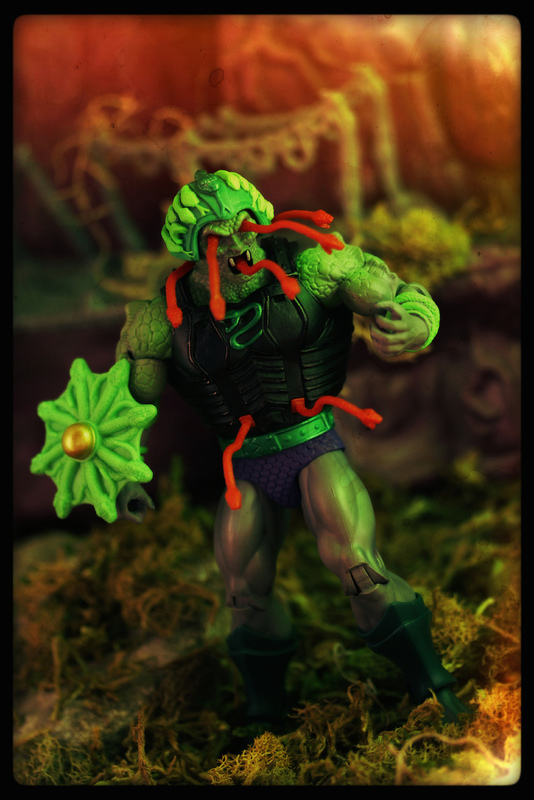 He was trapped with the entire Snake Army in the Void for five millennia, but eventually was called forth by King Hsss to do battle once again after their release ~ this time against new enemies ~ He-Man and the Masters of the Universe. 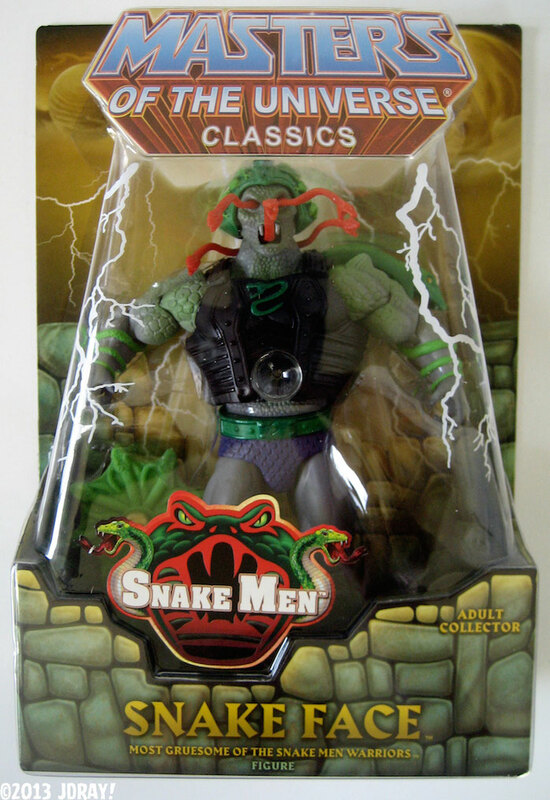 Snake Face slithers after his enemies, then turns them to stone!